Model SB-3 is a static bleeder meant for ladder line use. It is rated from 1-60 Mhz at 3 KW with a maximum SWR of 10:1 on the line. 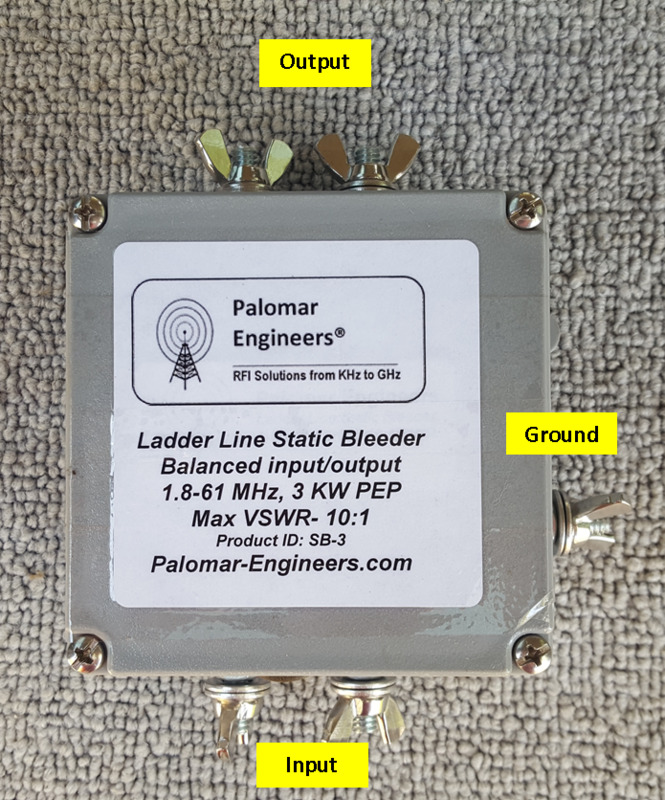 The SB-3 bleeder is used in line with an existing ladder line fed antenna usually at the entrance to the radio shack, and on the “antenna side” of the antenna tuner. Either ladder line connector can be used for input/output (bi-directional) and a ground should be connected to the Ground Lug. Under normal static conditions, the SB-3 will bleed off residual static. For very high static voltage it is recommended that the ladder line be grounded directly.